When you’re planning and building your new property it’s important to get the thermal performance right. Your Architect, Designer or Builder will generally have someone they work with, but if not, here is where you can find someone to help. We know the companies below and think they really know their stuff, alternatively check out those on the Building Designers Association of Victoria (BDAV) website to find a national list of fully qualified and accredited assessors in your area. web open website Wayne has been in the building & construction industry for over 25 years with membership at the Master Builders Assoc (MBA), Housing Industry Assoc (HIA), Aust Institute of Building Surveyors (AIBS), Assoc of Building Sustainability Assessors (ABSA) and a past Board member of ABSA. 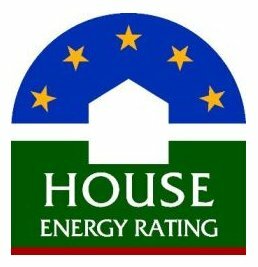 Wayne is active with energy assessments for new dwellings, trouble shoots energy efficiency in existing dwellings & commercial buildings, trained in First Rate 5, AccuRate, BERS Pro & a NABERS assessor. View Brochure Paul is a fully qualified and accredited FirstRate5 Thermal Performance Assessor and Home Sustainability Assessor. He has many years experience in the building and construction industry both residential and commercial. Paul also has an excellent knowledge of materials ranging from roofing, specialised shading, cladding and curtain wall systems to energy efficient glazing systems to help improve your home. web open website Graham Hunt is an architect who also has extensive experience in residential thermal performance ratings. He has been an accredited HERS assessor since 1999 having undertaken hundreds of assessments ranging from single houses right through to large apartment buildings. As well as providing ratings for Council requirements, Graham also specialises in using thermal performance rating software to help home owners better understand how their new or renovated houses will perform thermally, aiming to get as efficient a design as possible.